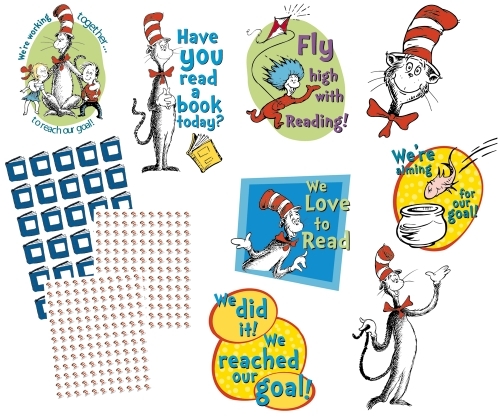 Encourage reading success with this fun and interactive Cat in the Hat Reading Goal Kit. Children will enjoy Dr Seuss's lively and inspiring sayings. Coordinates with the full range of Dr Seuss decoratives available online.